Instagram’s known for engagement, about 4 times more than that of Facebook. But how is that going to make you excel at driving product sales? Let’s start with the basics! What’s your mobile conversion rate? About 1.5% on average? Compare that to the 30%+ of Instagram users who purchase products on their mobile device. That makes them at 70% more likely to do mobile purchases than people that don’t use this social media platform. Instagram users also spend the most coin per order, too. The first step in any social ad campaign is to first select your objective. The two biggest drivers of your conversion rate are audience targeting and the offer you’re sending them. 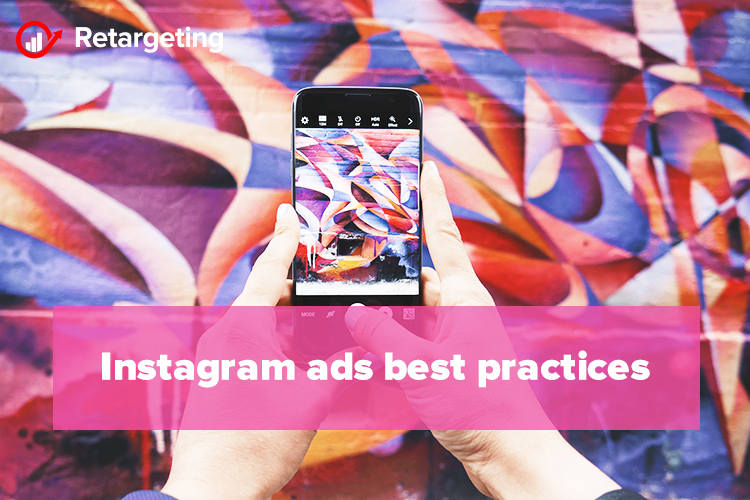 Instagram ads feature the same interest-based targeting from Facebook to reach new audiences who’ve never been to your website or even engaged with your profile before. So go for a similar approach, layering in different demographics and interests and exclusions until you arrive at an audience size that fits within your budget and builds out closely related lookalike audiences to scale your top of the funnel results. But always consider that what you’re asking your target audience to do is not going to get a conversion on the first impression. You’re better off going small first and then push those converters on to the next step towards your core conversion goal. So instead of leading with, for example, the new $100 dress, start with a newsletter opt-in first. Then once you’ve got them hooked, come back later to reel them in with a purchase. How do you know which creative works best? The short answer is you don’t. Not until you test it first. So take your organic following, first, running new ad creative variations across them before watching the analytics for clear trends to stand out. See what your audience wants and then give it to them! People find new products through display ads and social. Those two things just so happen to be blending together right now. The first is because of banner blindness. The second is ad blockers. And the third is that people trust peers over brand messages. The solution? Branded content. Still advertising, although through indirect partnerships, increase brand awareness and distribution with the help of influencers. Most product companies have multiple personas or customer segments that each buy different products for different reasons. That complicates things a little. Because it means that you’re going to need to target multiple audiences for your ad campaigns. Isolate the variables to help you segment audiences as soon as they give you an indication of which camp they’re in. That click, profile engagement, product view, or website visit is the trigger you need to take your ad campaigns to the next level. Instagram is similar to Facebook. Seduction and foreplay need to fill the void left in the absence of intent. Developing an Instagram e-commerce strategy has to rest on a foundation of organic engagement. While Instagram is one of the few social platforms that loves branded content and product posts, it also has notoriously low conversion rates from click-throughs. For ads, combining your Instagram engagements with Facebook marketing takes advantage of Facebook’s native selling capabilities and higher onsite conversion rates. You can do this by retargeted ads from people who visit your site through an Instagram story or ad or by creating a custom audience based on Instagram engagement. – what personas buy which products. Now, all you have to do is to put the pieces together based on what you know works!